Spring2Action 2018: You DID it! We are speechless. 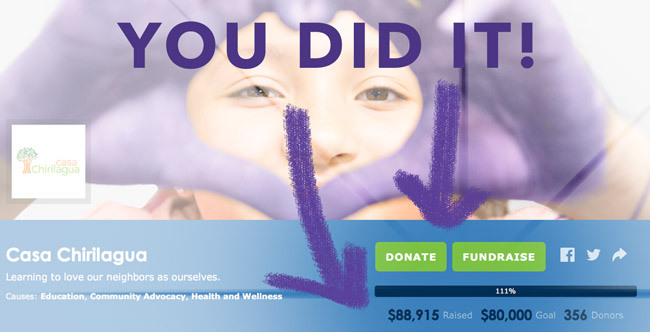 TOGETHER you SURPASSED our goal PLUS helped us earn extra prize money by getting Casa Chirilagua into 2nd place in total dollars, 4th place for total number of Free Agent Fundraiser gifts and by winning the 10pm POWER HOUR. THANK YOU ALL. Relationships will continue to grow and strengthen in Chirilagua thanks to your generosity during Spring2Action.